MasterCard’s latest Mobile Shopping Survey reveals that consumers in Asia Pacific are embracing new mobile technologies with one in five or (19.5 percent) using digital wallets, a two-fold increase from two years ago (9.7 percent). Emerging markets are leading the way with smart phone users in China (45.0 percent), India (36.7 percent) and Singapore (23.3 percent) the region’s biggest adopters of digital wallets. The results are based on interviews that took place between October and December 2015with 8,500 people aged 18-64 across 14 markets in Asia Pacific. In addition, consumers continue to embrace mobile shopping with half in Asia Pacific having made a purchase using their smart phone in the three months. Unsurprisingly, the markets that have seen strong uptake of digital wallets are also where the majority of people are using their mobiles to shop. Overall, close to half of respondents (48.5 percent) across the region have made a purchase using their smart phone in the past three months, led by those in India (76.4 percent), China (76.1 percent), South Korea (62.0 percent) and Thailand (61.1 percent). India also tops the region in growth rates, with the number of people shopping on smart phones rising by 29.3 percent from two years ago, followed by Vietnam (17.7 percent) and Singapore (17.1 percent). More than half of the respondents across Asia Pacific (53.9 percent) cited convenience as the key driver for shopping on their smart phone. Other motivating factors include the ability to shop on the go (42.9 percent) and the growing availability of apps that make it easy to shop online (41.4 percent). Clothing and accessories (35 percent), personal care and beauty products (20.9 percent) and movie tickets (20.4 percent) are the top mobile shopping purchases amongst Asia Pacific consumers. Close to half ofM consumers in China (46.4 percent), India (42.5 percent) and Korea (42.1 percent) shop for clothing and accessories on their smart phone. In the Philippines, an increase in mobile shopping was also noted, with 40.9 percent purchasing an item via smart phone in the past three months. Similar to their counterparts in Asia Pacific, Filipinos’ top mobile shopping purchases are 31.5 percent clothes and other fashion accessories, 21.7 percent personal care and beauty products, and 18.3 percent home appliances. Filipinos point to being able to shop on the go and convenience as primary reasons for mobile shopping. When it comes to new mobile technologies for business and online shopping, 33.5% of Filipinos are more familiar and likely to use mobile banking apps. 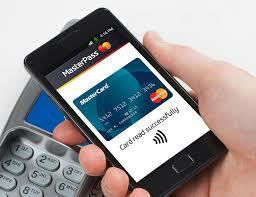 Digital wallets come second at 17 percent, which has risen from 10.3 percent in the past years. Raj Dhamodharan, Group Head, Digital Payments, Asia Pacific, MasterCard commented “New forms of mobile payment technology, such as MasterCard’s digital wallet MasterPass, are making transactions easier and safer, online, in-app and in-store. As more and more merchant apps provide shopping and services, consumers need a digital wallet that provides the best balance between security and convenience. We are already seeing that demand in many markets in Asia Pacific from India to Singapore to Australia. In Singapore for example consumers are using their MasterPass wallet to pay their bills and book taxis. In each of these cases we worked with merchants to enable safe and simple in app payments using MasterPass." There’s no stopping two-time UFL Champion GLOBAL FC now. 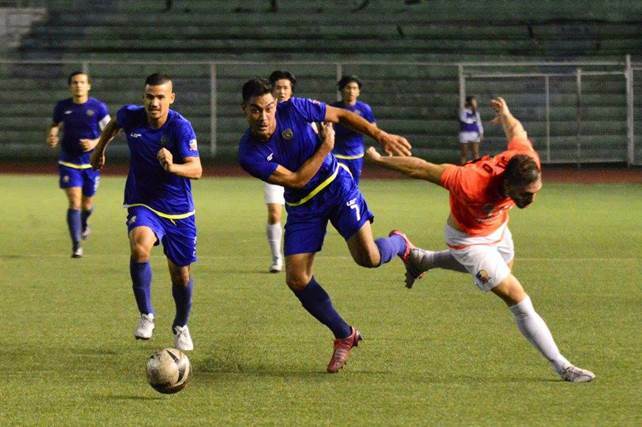 Loyola Meralco Sparks FC saw a formidable opponent in GLOBAL FC last Saturday, Feb. 27, at the Rizal Memorial Stadium as GLOBAL FC blanked Loyola FC, with a 2-0 score. The Saturday night crowd at Rizal Memorial Stadium saw players Omid Nazari and Arthur Kouassi contributing 1 goal each in behalf of the Leyte-based team. First goal was by Arthur Kouassi, during the 42nd minute of the first half of the match, while the 2nd goal taking place at the 2nd half of the match. Omid Nazari, who became a marked man after his hat trick during GLOBAL FC’s UFL opening game against Pasargad FC, was named Man of the Match. “GLOBAL FC fans are also encouraged to root for their team this Thursday, March 3. There is nothing like a stadium full of screaming fans”, Coach Manson adds. GLOBAL FC vs. Ceres FC takes place on March 3, Thursday, 8:30 p.m. at the Rizal Memorial Stadium. As the leader in the gin category, we are much aware that the market landscape is changing. Today, more and more youths are interested in exploring their spirit of adventure and fueling their #YOLO attitudes. Ginebra San Miguel aims to be part of that notion, which is why we have changed the look and reformulated GSM Blue. The contemporary look has been updated to capture the curiosity of the young. Its fresh citrus aroma invigorates the sense of smell and a sip of the enhanced GSM Blue will leave you speechless because of its distinct smoothness and light taste. Straight up or mixed, the new GSM Blue is the ideal drink to bring life to all your explorations wherever you are and whoever you are with. GSM Blue will be part of your summer adventure because we will be invading the favorite destinations of our millennial target market. From La Union, Baler, Zambales, Laguna and all the way to Boracay, expect to find GSM Blue’s unique activations. From sampling booths, special lounges where you can hang with your friends under the sun, to being creative with our Ink for Drinks activity where you get free drinks for every henna tattoo, GSM Blue will give you an experience worth sharing on your social media feed. #YOLO #GSMBlue and #Adventure are the few themes you will see this summer from our brand. 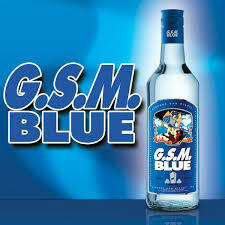 It's time to go on an adventure with GSM Blue, the spirit that is easy to drink and easy to mix. To further hype up #YOLO and #Adventure, GSM Blue will fly 5 friends for free to the hottest summer destination, Boracay. Participants should post a photo of your tropa adventures with the new GSM Blue on Facebook and Instagram. Use the hashtag #GSMBlueSummerAdventure. The post with the most number of likes wins a 3D&2N Boracay Trip for 5. Winners will get to experience exhilarating activities such as zorb, ATV, cliff diving, parasailing, helmet diving and party all night on the labor day weekend. 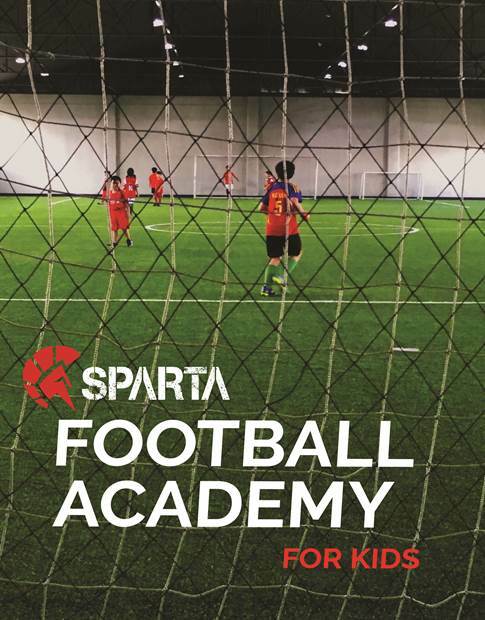 Sports and Recreational Training Arena or SPARTA, best known for its FIFA certified 1-star indoor football field, launches the Sparta Football Academy for Kids. Villarino continues, “With this program, kids can learn the basic skills of football and the rules of the game. Apart from which, kids can also learn discipline and have a good sense of teamwork. Football can also help in the improvement of one's health condition, it can also improve their decision-making skills, as they make decisions while on the field." The program runs from March to May of 2016. Classes are to be held every Monday, Wednesday and Friday from 10 am-12nn. SPARTA is located along Pioneer Street in Mandaluyong City. For more information, please call 6553799 or 0977-7634402. SPARTA is a one-stop sports, lifestyle and wellness center built for the highly competitive athlete. It strives to become the most influential sports facility in the Philippines through its centralised location, expert trainers and programs developed for those who aim to dominate the competition. Apart from the Indoor Football Field and the Sparta Calisthenics Academy, users may also try Yoga, Capoiera, Karate, Jeet Kune Do, Filipino Martial Arts, Fluid Tactics and 360Pro. Sparta is located at 126 Pioneer Street, Mandaluyong City. FatOutcan help make your digestive system more effective. When our colon is cleansed it pushes out undigested waste, clearing the way and helping you absorb good nutrients better. 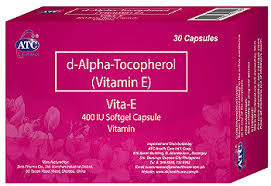 With a healthy colon your digestive system allows you to easily pass undigested waste through your system which can result to having lesser risk of other digestive problems and disorder and also help in weight loss. FatOuthas the revolutionary Sweep and Shred Formula which helps in cleansing your colon and trimming down your fat. Psyllium Husk sweeps and cleanses toxins in your colon while Green Tea Extract shreds and burns your fat. FatOut eliminates hard-to-digest fats and helps detoxify the colon. It nourishes the digestive system that can help in proper bowel movement and digestion. The sweep and Shred formula can help you lose the pounds without putting your health at risk. Note that, FatOut is not a medicinal drug and is not used to treat the symptoms of any disease. Internet of Things Summit Philippines has Arrived! 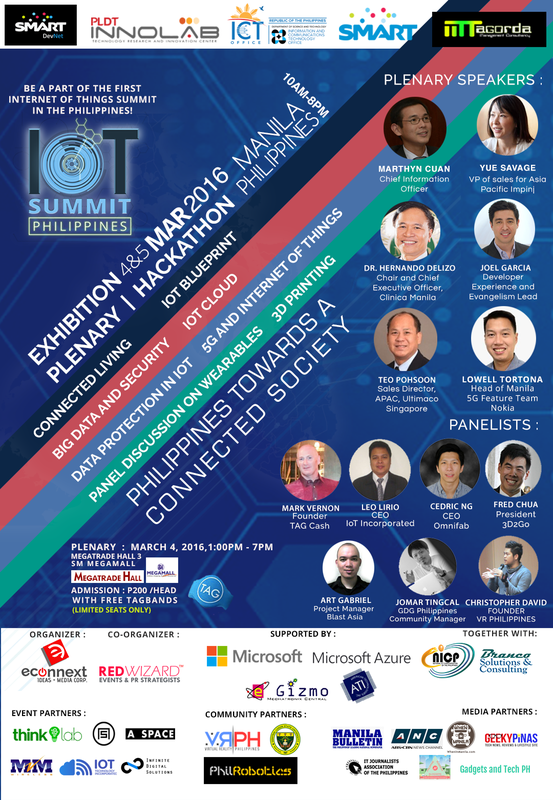 This coming March 4-5, 2016, be prepared to be amazed by the technology of the things around us with the first ever Internet of Things Summit Philippines 2016. 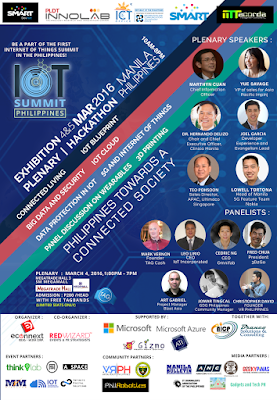 Aimed to introduce the IoT ecosystem to the country, the IoT Summit Philippines 2016 will feature more than 50 exhibitors from the tech industry, all of which are big movers of the Internet of Things in the Philippines and in Asia. The event also aims to create an avenue for the audience to appreciate the technology, bridging in the gaps and helping the Internet of things to unleash its full potential through various medium. 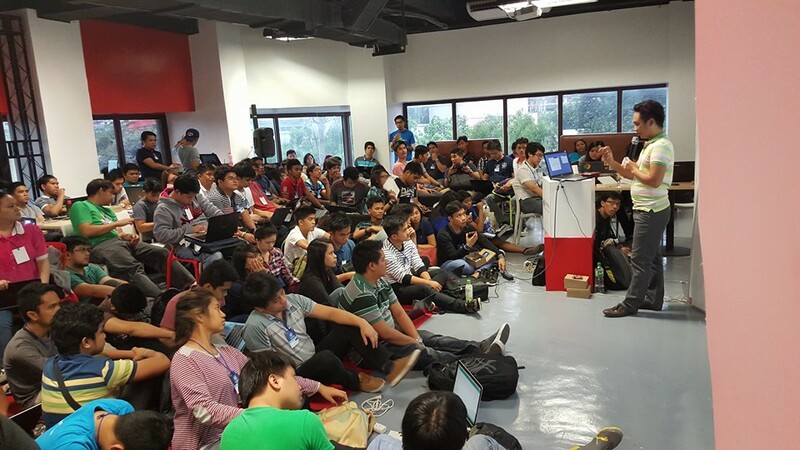 During the day 1 of IoT Bootcamp at ASpace Palet Express, Chino Roces Makati. To put it simply, we will be able to communicate with all sorts of devices as long as they are connected to the internet. With the continuous rise of the tech industry in the Philippines, major companies and start-ups are catching on the new revolution that this type of platform has to offer. The IOT Summit aims to drive more opportunities to this unceasing movement of IoT in the country, as well as prepare the industry and community in the foreseeable future, where most devices will also take part to this one of a kind technology. Some members of the Philippine Cyberpress with DOST-ICTO Deputy Officer Monchito Ibrahim with IoT Summit Phililpines event partners, Thinklab, and the organizers from Redwizard Events Management and EConnext Ideas and Media. You can check out the event website at iotexpoph.econnext.com or like their facebook : https://web.facebook.com/iotexpoph/ for more details or if you want to be an exhibitor or major partner, you can email info@econnext.com or text 09209734926 and 09179048777. New state-of-the-art theaters redefine movie watching experience in Metro South Mall-goers of the Metro South can now experience the best cinema experience available in the world. 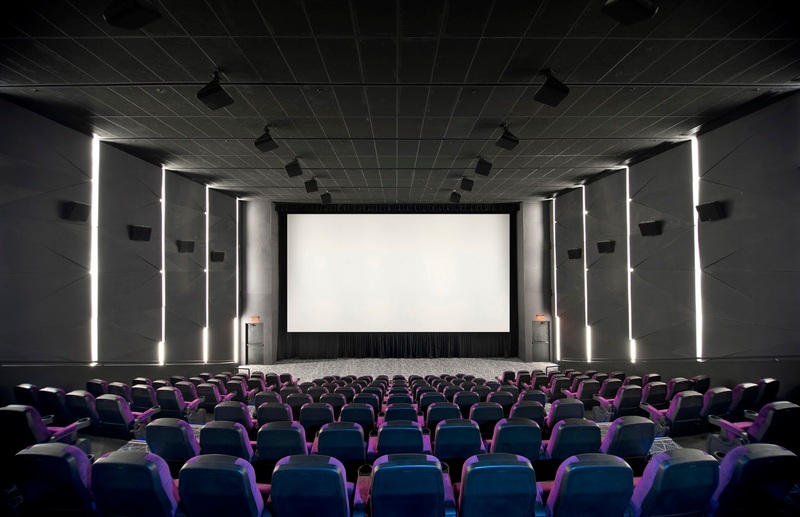 Apart from this world-class sound system, all four theaters of the Vista Cinemas are equipped with luxury seating from the FIGUERAS and LUXOS brands available only in selectlocations around the world. Figueras is a Spanish brand that specializes in crafting high-end seating for public spaces. Their seats can be found in places such as The White House and the Philharmonie de Paris. Luxos is a specialized line developed by the Japanese furniture brand Okamura. Luxos is a new and original concept of a lounge chair with a lower, reclining seating posture that provides added comfort through its active back structure and smart operation. Singapore saw an increase of +320% Cable 15+ viewers, Malaysia drew in 218% more viewers aged 15+, while the Philippines brought in 644% more 25+ ABC1 audience on its debut night, all more than its prime time average. The new season of Vikings will introduce its first Asian character, “Yidu”, who will play a pivotal role in the series. 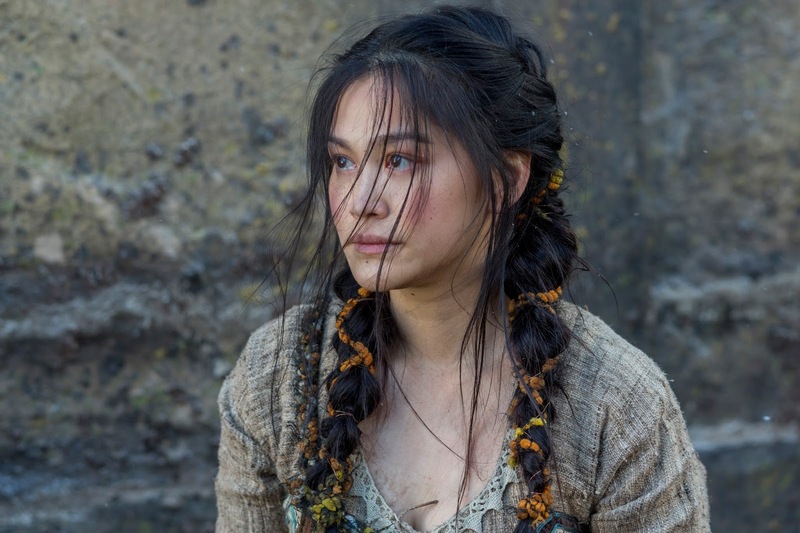 Asian-Canadian actress Dianne Doan joins the stellar cast as “Yidu”, the mysterious slave who fascinates Viking chieftain Ragnar. Vikings season four airs as a same day telecast with the United States, every Friday at 9pm on HISTORY. A+E Networks® is one of the world's leading media companies and America’s second largest cable television network. A+E Networks’ channels are watched all over the world, reaching more than 330 million subscribers in over 200 territories. A+E Networks is a joint venture of Disney-ABC Television Group and Hearst Corporation. Its networks and divisions include A&E®, Lifetime®, HISTORY®, LMN®, bio.®, H2™, HISTORY en Español™, LRW®, Crime + Investigation™, Military HISTORY®, A&E IndieFilms®, A+E Networks International®, A+E Networks Digital®, and A+E Networks Consumer Products®. 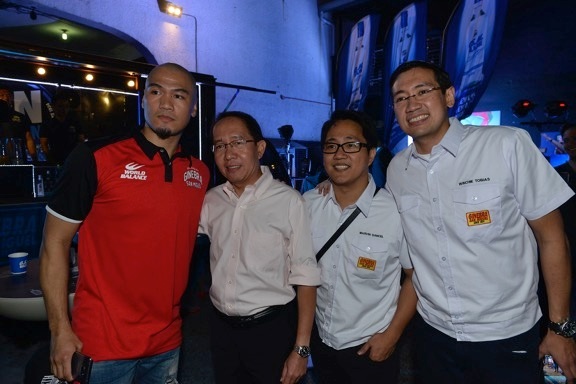 Ginebra San Miguel Inc. (GSMI) is brewing something new for 2016. Announcing, Gindependence Day! This is a celebration to mark the brand’s emancipation from the old and a welcoming of the new. Our flagship brand Ginebra San Miguel is going through some interesting changes. After years of championing the hardworking Filipino working class, our brand of gin, which stands for The Filipino Fighting Spirit or “Ganado” will be talking to a younger market with its activations. This is to solidify our positioning for our future “Ganado” Filipinos. In the past year, we created ads that showed a father passing the baton to his son who was looking for a job and keeping his spirits high amidst the disappointing reality of rejection. This year, we take on another journey with our market as we highlight a special segment in society, the Young Filipino OFW and his family. Our next TVC will showcase a story of a son and his father as they go through the real life drama that families encounter when someone is leaving. No matter how good the opportunity is, family members will still be affected when someone leaves. This became our inspiration in kicking off our advertising campaign for 2016. Our TVC called “Sepanx” or Separation Anxiety will surely melt your hearts and spark the flame of being “Ganado sa Buhay” anywhere you may be in the world. 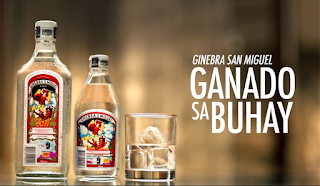 Ginebra San Miguel plays an integral role in the “Ganado” life of our core market. The “Ganado” spirit, which the brand espouses will be pushed to a more elevated experience, breathing new life to the brand. The Gin Nation Roving Caravan was created to guide and inspire people about the various ways that Ginebra San Miguel can be consumed. Participating in various university events and food festivals, the Gin Nation Roving Caravan is changing the way people drink Ginebra San Miguel from the ground up, one location at a time. 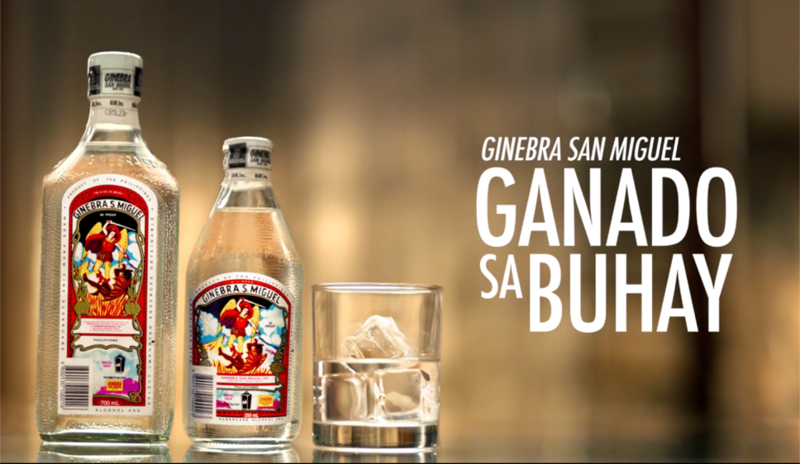 We want to introduce Ginebra San Miguel to more and more Filipinos of all sectors, age and demographic. Get ready to take the party on the road with our Gin Nation Roving Caravan. Our Gin Nation truck will be partnering with the metro’s hottest events and destinations like Mercato Centrale, Maginhawa Food Street, school events and concerts. Together with the truck, Ginebra San Miguel also formulated five mixes that everyone can enjoy: Manila Sunrise, Blue Fizz, Mojito Slush, Sweet Lemony Martini and All Nighter. Each mix is tailor-fit for everyone’s taste. 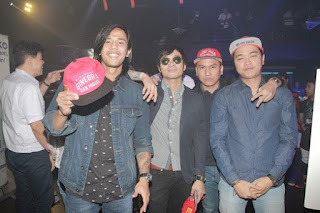 Apart from these unique mixes, we want to complete the drinking experience by adding acoustic performers that will give entertainment to our “Ganado” market. As we move on to the summer of 2016, we invite everyone to watch out for our Gin Nation Roving Caravan and join us in building a bigger and better Ginebra San Miguel. 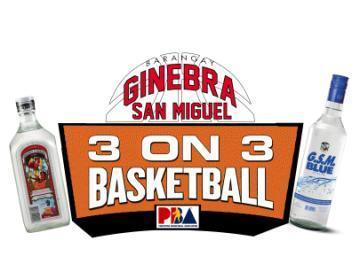 Like the “Ginebra San Miguel” Facebook page (www.facebook.com/barangayginebra) for details and schedules. Summer is one of our favorite times of the year, when there are many festivities happening around the country. Ginebra San Miguel has been part of these celebrations for the past four years with the Ginumanfest Concert Series. This is a concert series that tours the different regions of the Philippines, bringing top bands and performers to share their passion and the spirit of “Ganado sa Buhay” with everyone. Giving people samples of well-loved gin drinks, Ginumanfest is the biggest festival road show in the category covering destinations from Luzon to Mindanao. This is another festive year for the country and we are excited to again be part of the fun with our “Ganado” family. Our Barangay Ginebra team plays a big role in the success of our brand, which is why we always have something in store for our fans. This summer, we will be going around different barangays to host a three-on-three competition where anyone above the age of 18 can participate. All they need to do is collect GSM Blue caps or Ginebra San Miguel seals to join with three of their friends. These Barangay teams will battle it off to be their area’s representative for the national championships. The top 16 teams from the identified areas will face-off against one another in a championship tournament that will determine this year’s three-on-three national champion. Here’s a fantastic way to spend the leap year: Shopping at Araneta Center’s The Great Leap Year Sale, where you can experience huge discounts while walking through shops jam-packed with sale items! Experience a fun and affordable shopping spree and head over to Ali Mall, Gateway Mall and New Farmers Plaza on February 26-29, 2016 and shop ‘til you drop as you look through fabulous finds with prices up to 70% off! 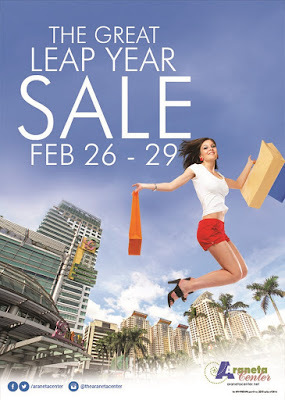 Don’t miss out on Araneta Center’s awesome sale! Follow Araneta Center’s social media accounts at www.facebook.com/AranetaCenter on Facebook, @AranetaCenter on Twitter, and @thearanetacenter on Instagram for updates. This year, the 11th World Congress of the Club of the Most Beautiful Bays in the World was held in Puerto Galera, Oriental Mindoro – the only member bay in the country included in the club of the Most Beautiful Bays. The congress served as an avenue for international stakeholders to discuss measures to fight climate change in order to protect the club’s member bays. Organized by the Puerto Galera Most Beautiful Bay Inc. (PGMBBI) in coordination with the Provincial Government of Oriental Mindoro, the Department of Tourism and the Tourism Promotions Board, the multi-faceted congress showcased Puerto Galera’s unique ecological and cultural assets through talks, island-hopping and excursions, and a visit to the Mangyans, among other activities. Photo shows: (L-R) Puerto Galera Mayor Hubbert Dolor, Governor of Oriental Mindoro Alfonso Umali, Jr., Presidential Adviser for Environmental Protection Sec. J.R. Nereus O. Acosta, Congress organizer Hubert D’Aboville, former President of MBBW Galip Gur, Setubal, Portugal Mayor Maria Das Dores Meira, newly elected President of MBBW and Yeosu Bay, Korea Mayor Cheolhyeon Ju. The Jr.NBA and Jr.WNBA Presented by Alaska starts its search for the best basketball players in the country when it holds its first Regional Selection Camp at the Benguet State University, Baguio on Feb. 20 and 21. Boys and girls may join the search for the ten best boy and five best girl basketball players who will become members of the Jr.NBA and Jr.WNBA All-Star team. There is also a search for the boys and girls coaches who will handle the two teams. Over a hundred cultural performers from the multi-award Buyogan Festival from Leyte have been invited to perform at the upcoming World Culture Festival. The World Culture Festival is the largest gathering the world has ever seen, attracting millions from different cultures, nations and faiths uniting under the resounding message of One World Family. The group’s attendance will mark the first time that a representative from the Philippines will grace the global event which will be held on March 11-13, 2016 in New Delhi, India. The Buyogan Festival is a group of cultural performers from Leyte, which was critically impacted by Typhoon Yolanda three years ago. They have won several championships at the Sinulog Festival and are proud to represent the nation in this historic event. They have choreographed a special performance which is a tribute to the world for their help after Typhoon Hayien and also showing the resilience of the Filipinos moving from devastation to rehabilitation and to celebration. The WCF is part of the 35th anniversary celebration of The Art of Living, a global movement founded by Sri Sri Ravi Shankar. Speaking on this grand celebration, World Culture Festival 2016, The Art of Living founder, Sri Sri Ravi Shankar said, "We are a part of one humanity and we express ourselves differently through music, art and food. Celebrating our diverse cultures binds us together and expands our perspectives. The World Culture Festival emphasizes on co-existence, demonstrating the power of peace by bringing millions of people together. It is an opportunity for world leaders from cultural, social, political, business fields to come together to rekindle human values in the pursuit of happiness and peace." ​​The Art of Living is looking for generous benefactors and sponsors who would like to contribute and make the dream of the award-winning Buyogan Festival cultural performers to travel to India a reality. 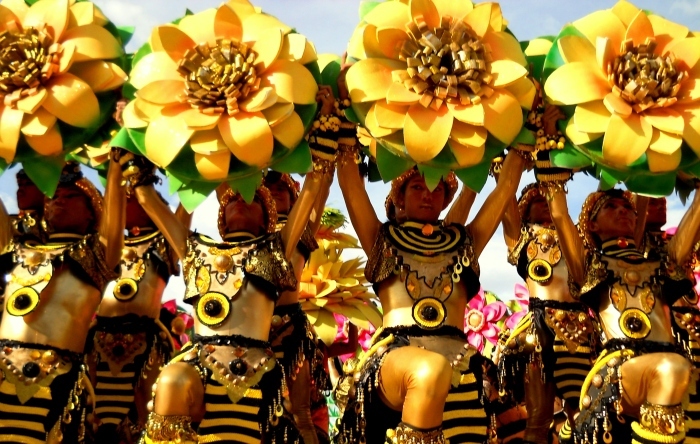 The Buyogan Festival is a fiesta that is celebrated in the coastal town of Abuyong in Leyte, where the local buyog or bees take the spotlight as vibrant bee dancers perform during a grand parade. No doubt, it would be a shining moment for Tacloban—an area that has been reeling from challenges in the aftermath of Typhoon Yolanda—its people, and our nation as we showcase the best of the Philippines to the world. ‘World Culture Festival' (WCF) is expected to host millions of people from over 155 countries in New Delhi. The event is supported by the Ministry of Culture, the Ministry of Tourism and the Government of India. The 3-day grand festival will have a massive 7-acre stage to seat thousands of artists, dignitaries and guests as they witness the staging of a most impressive variety of music, dances and other art forms from India and across the globe, with the vision of preserving them for future generations. On all three days of the festival, Sri Sri Ravi Shankar will lead a ‘Peace Meditation’ which would be joined by millions from across the globe. Individuals and organizations who wish to know more on how they can support may call Kim Hartman at 0917 8480063. More info can be found at The Art of Living Philppines Facebook page, #wcf2016 #worldculturefestival. Help fund the initiative online at www.tinyurl.com/BuyoganToWCF. Learn more about the Art of Living at: www.artofliving.org or call 0917-840-0049 (02) 622-2566 for inquiries. Several graduates of the Art of Living programs as well as those who are simply interested to be part of a Global Peace effort are also making plans to represent the Philippines and attend this historic event. Filipinos who have been keen to visit India may also see this as a great opportunity. The Art of Living Foundation can help with tour packages and travel arrangements. The Art of Living Foundation, founded by Sri Sri Ravi Shankar in 1981, is a global movement, rekindling human values in the pursuit of happiness and peace. It works to bring peace at the level of the individual, society, nation and the world as a whole. Its areas of work cover conflict resolution, disaster and trauma relief, poverty alleviation, empowerment of women, prisoner rehabilitation, education for all, campaigns against female foeticide and environment sustainability. Sri Sri Ravi Shankar is a universally revered spiritual and humanitarian leader. His vision of a violence-free, stress-free society through the reawakening of human values has inspired millions to broaden their spheres of responsibility and work towards the betterment of the world. Sri Sri Ravi Shankar is engaged in peace negotiations and counselling in conflict zones around the world. His peace initiatives in Sri Lanka, Iraq, the Ivory Coast, Cameroon, Kashmir and Bihar have been widely acknowledged. Present in 155​ countries, The Art of Living formulates and implements lasting solutions to conflicts and issues faced by individuals, communities and nations. Sri Sri Ravi Shankar has reached out to an estimated 370 million people worldwide through personal interactions, public events, teachings, Art of Living workshops and humanitarian initiatives. Learn more about this amazing event at www.worldculturefestival.com or call Kim Hartman at 0917 8480063 or 0917 8105990 for more info on how to join the Philippine delegation traveling to India. Sony Channel, the premier destination for Hollywood’s hottest shows, concentrates the comedy on Sundays with a Roll-On-Floor-Laughing (“ROFL-ing”) line up of popular U.S series. All showcasing a fun and fierce female lead, these shows take Hollywood entertainment to even greater heights. Odd Mom Out stars its creator, Jill Kargman as a fictional character based on herself, Jill Webber. Set in the wealthy, cosmopolitan jungle of New York’s Upper East Side, Jill sets out to navigate the good, the bad, and the ugly of the elite mommy clique. Finding herself sticking out like a sore thumb in a bevy of shiny, seemingly perfect and ultra trendy mommies, Jill sees the world around her through a different lens. The comedy satire is based on her novel published in 2007, Momzillas. It also stars Andy Buckley, Joanna Cassidy, Sean Kleier (Madam Secretary), and Abby Elliot. This witty, tongue-in-cheek series airs every Sunday at 7:00pm. 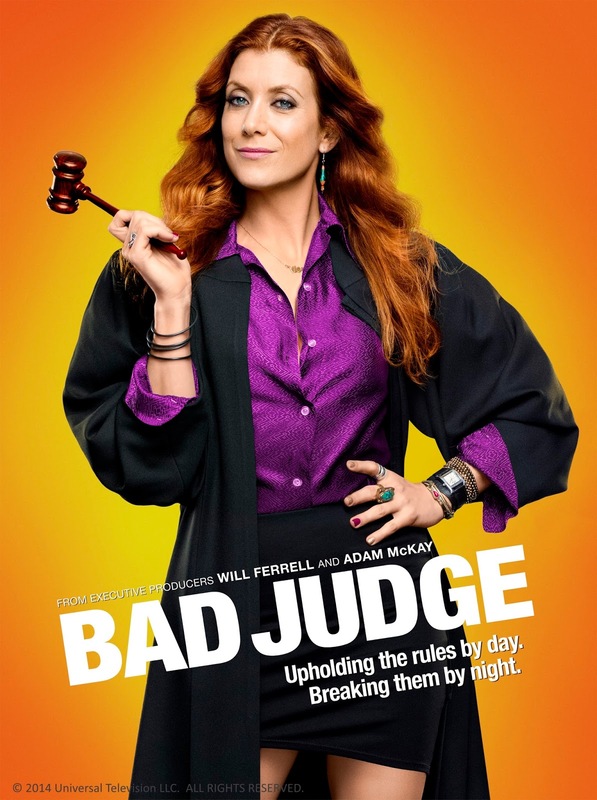 It’s law with attitude in Bad Judge, starring Kate Walsh (Grey’s Anatomy). Rebecca Wright is one of the most respected and prominent criminal court judges in Los Angeles. She also happens to speak her mind and acts as she wants on and off the court. From creative cases rulings to hot date nights with men, she is the town’s most intriguing woman. Beautiful and strong, she cuts a very intimidating figure, but never short of admirers. 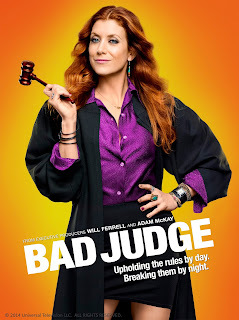 Watch this lady judge deftly manage her career and everything else through wit, humor and innuendoes day in and day out. After a well-received debut, Younger kicks off its second season first and exclusively in Asia on Sony Channel. .
Watch this colourful mix of characters pursue success in both career – and love and romance continue to bloom even after Liza spills the beans to Josh. But things get a bit tricky when Liza’s teenage daughter (Tessa Albertson) arrives. Also making things a bit more interesting is Charles’ unrequited crush on Liza – tune in to see if a love triangle is brewing.Kelsey tries to get her career going after a little tryst with a client last season. Both Maggie (Debbi Mazar) and Diana (Miriam Shor) also try their luck with love. Watch the first episode of the second season on February 28, Sunday at 8:00pm, First & Exclusive. Ben has a new girl in his life, but she’s unlike anyone he has been with. She drools and poops – but has the sweetest smile. After an ex drops him the biggest surprise of his life, Ben suddenly takes on a life changing task – raising a child. Together with his mother, Bonnie; brother, Danny and best friend Tucker; Ben faces the challenges of fatherhood. What happens next is a comedy of errors with heart-warming consequences. Baby Daddy debuts in the Philippines this February 28, Sunday at 8:30pm. Go Everywhere with the ASUS ZenFone Go!